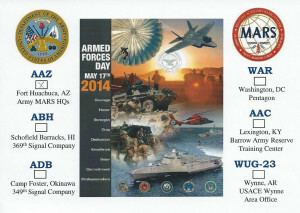 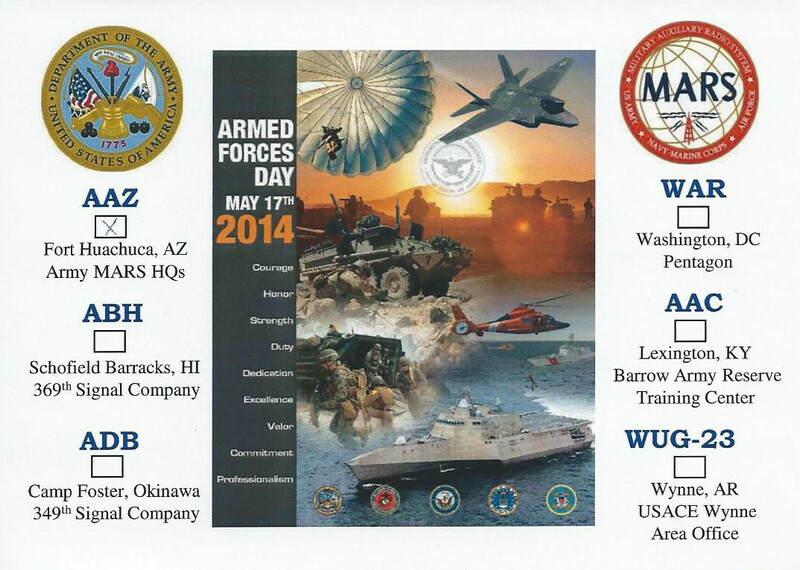 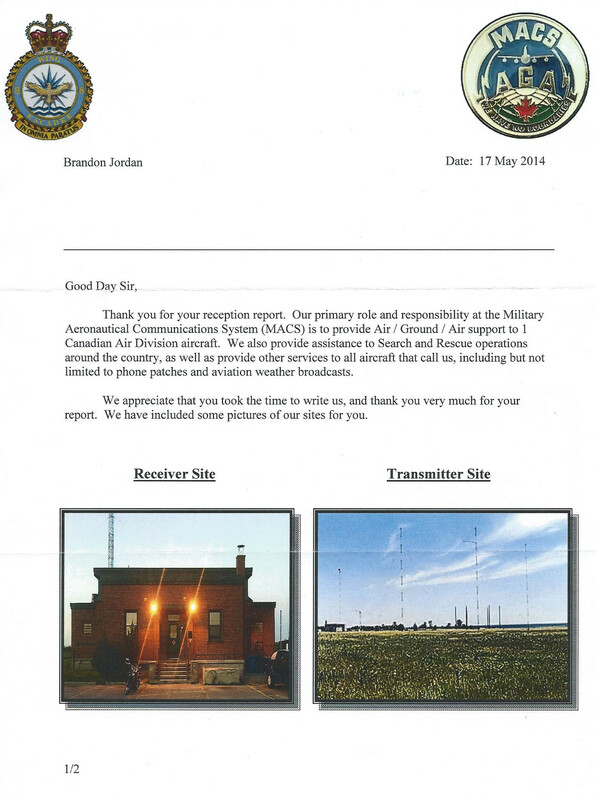 Full-data QSL card for the 2014 Armed Forces Day Cross-band Event, received in 97 days for English language report and mint stamp (returned). 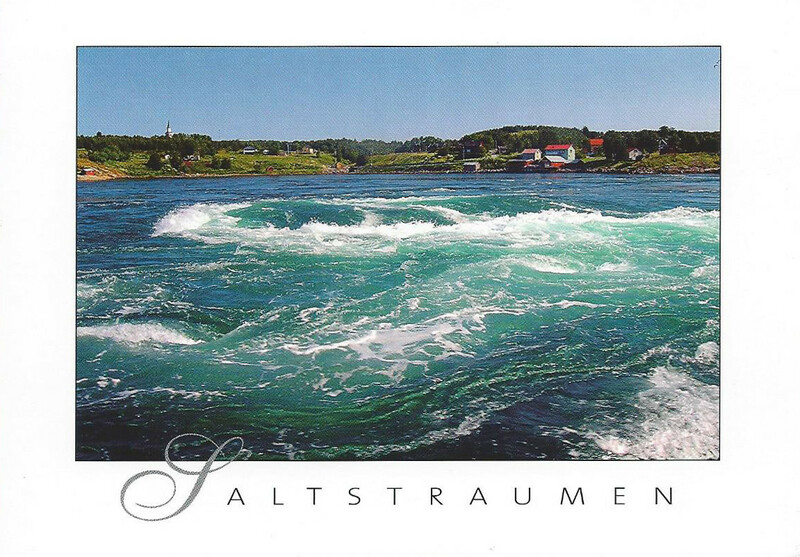 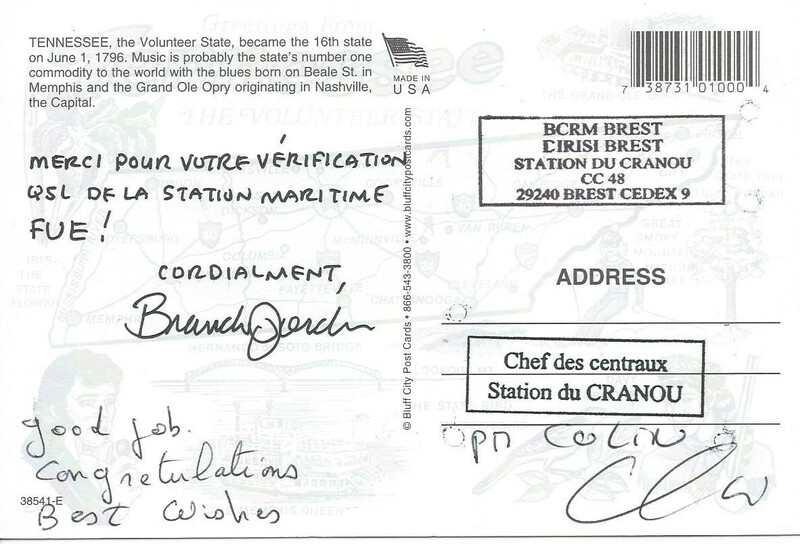 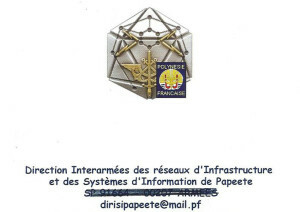 Returned my souvenir postcard with no-data endorsement with official station seals in 58 days for French language report, mint stamps, envelope, souvenir postcard and PFC (not used), v/s Pr Colin, Chef des centraux Station du CRANOU. 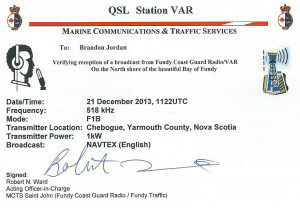 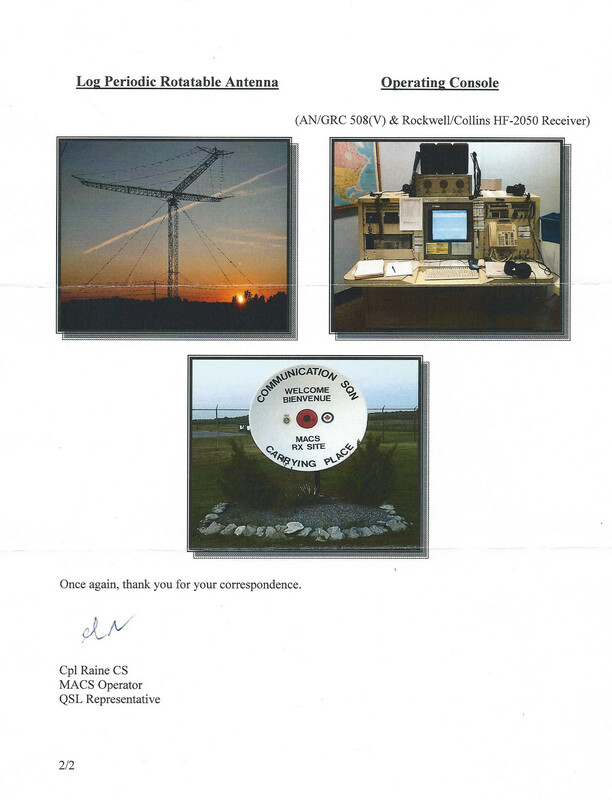 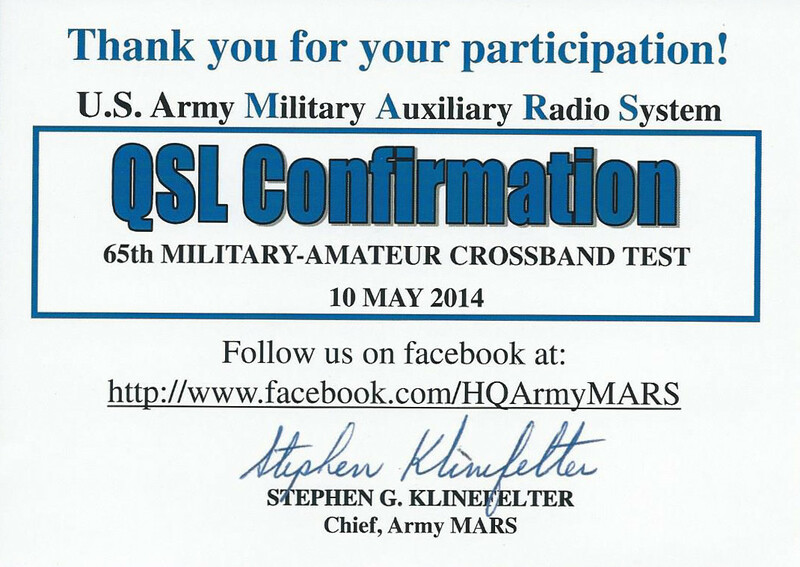 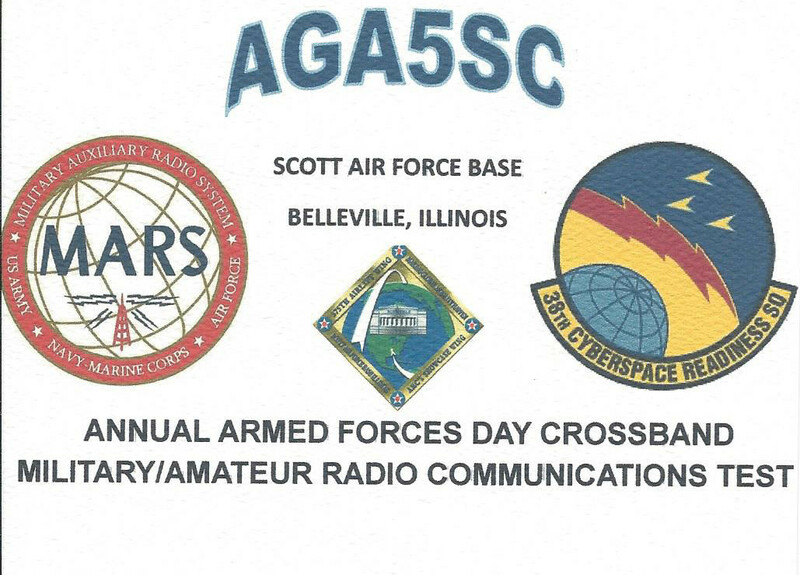 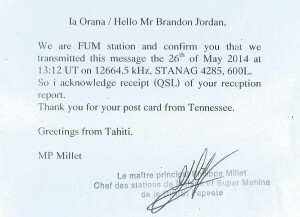 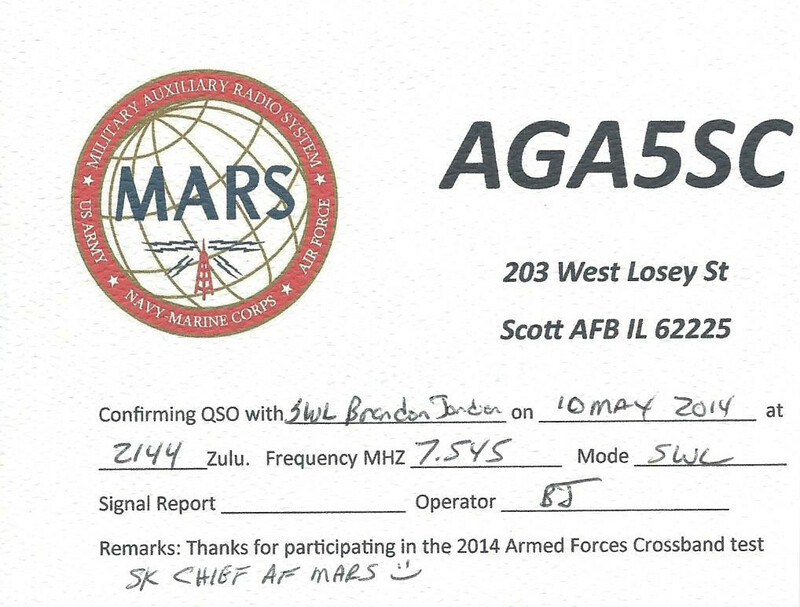 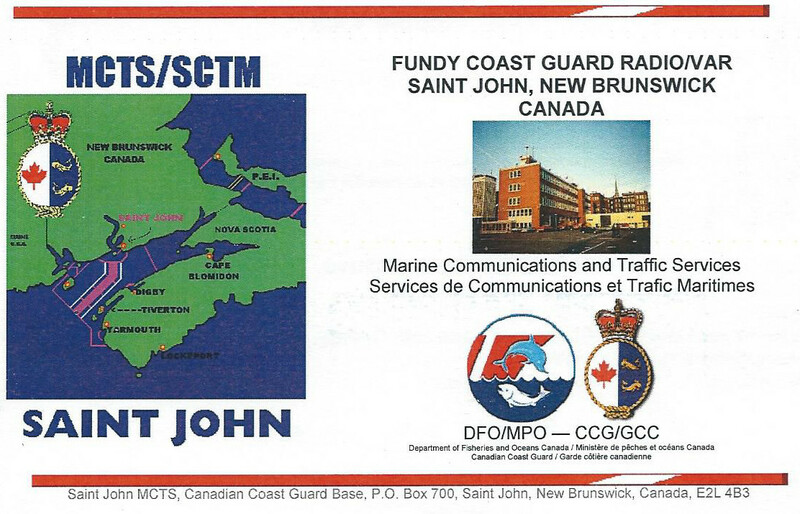 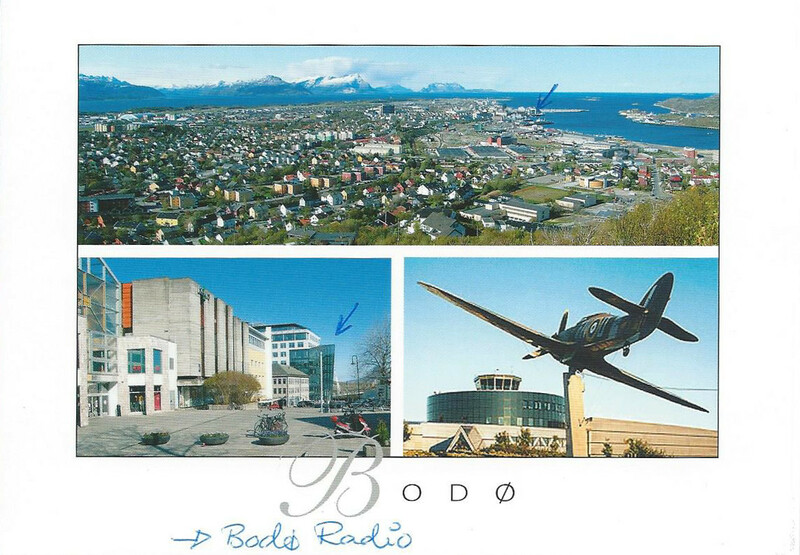 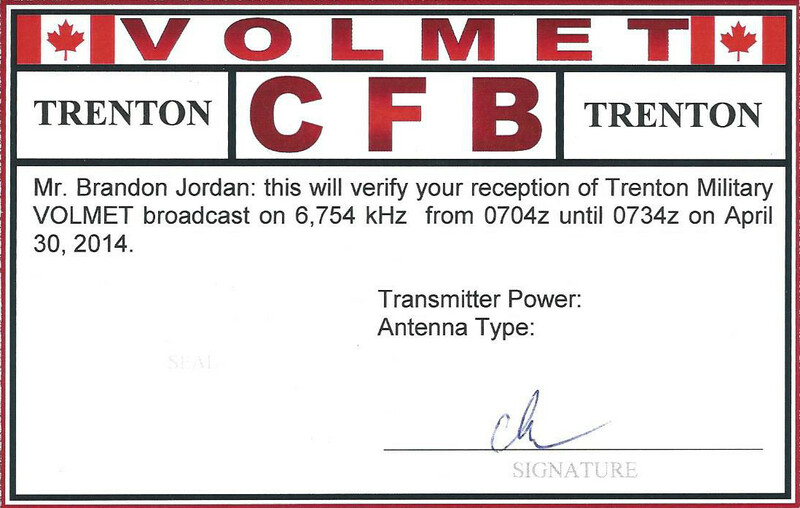 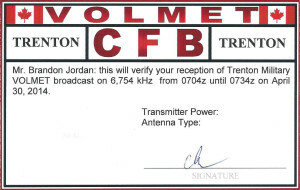 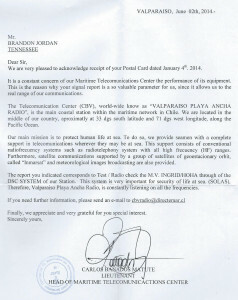 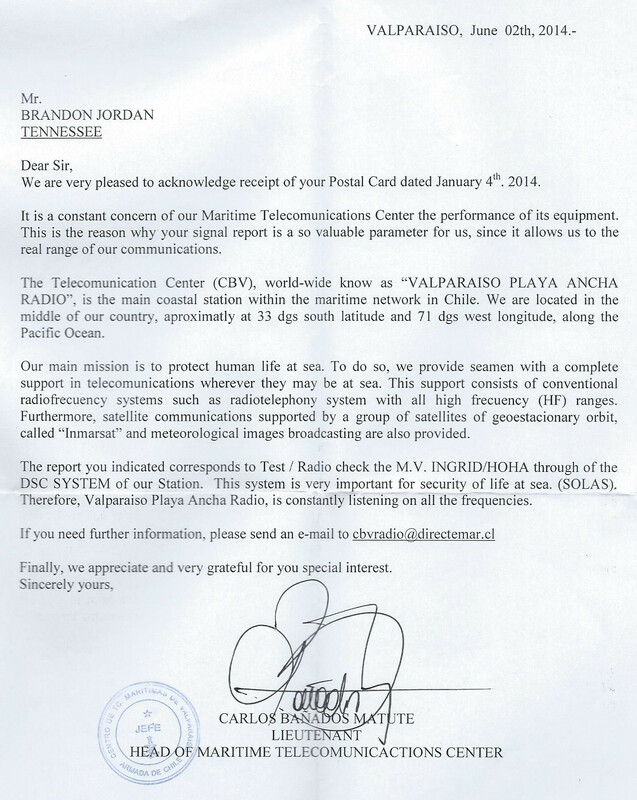 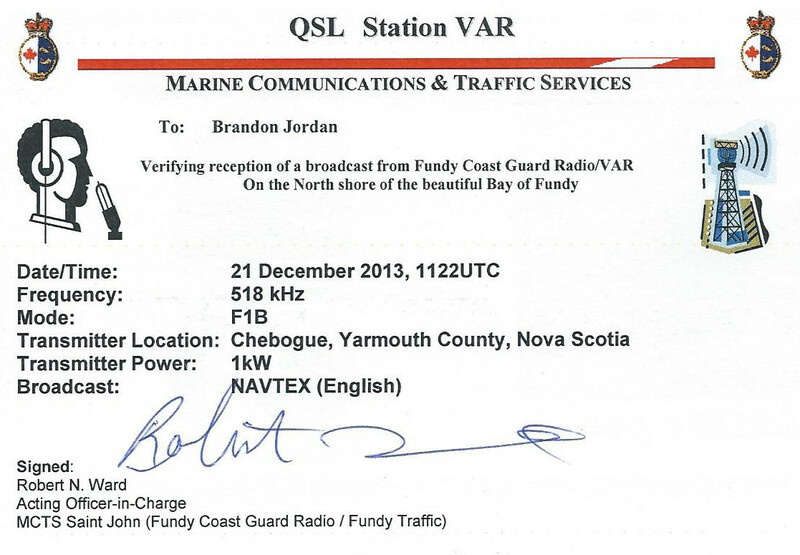 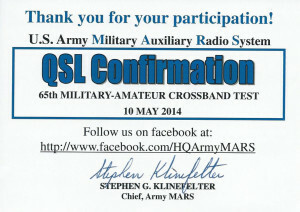 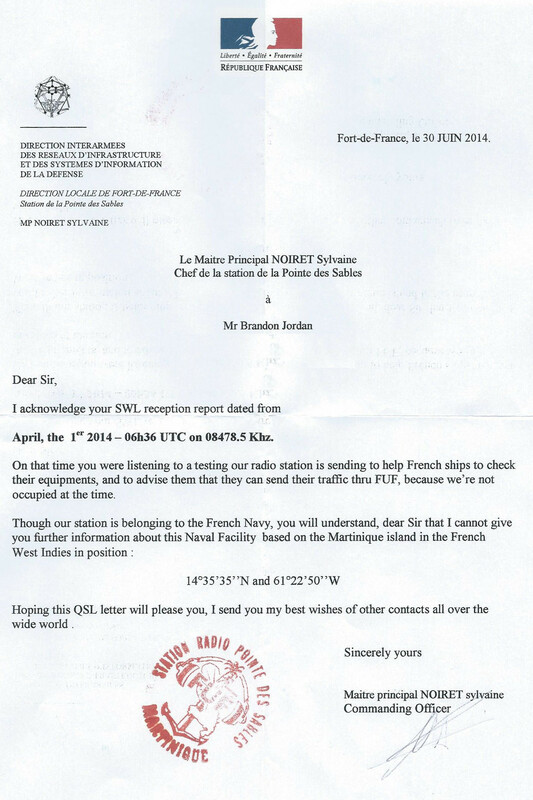 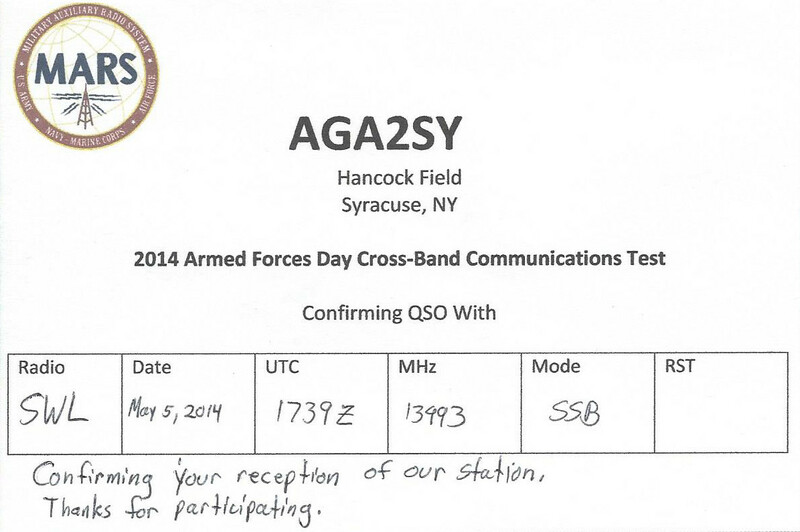 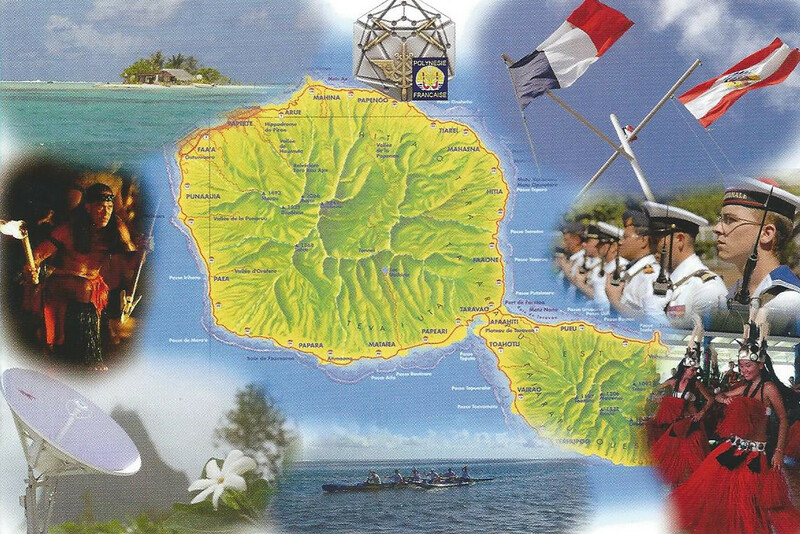 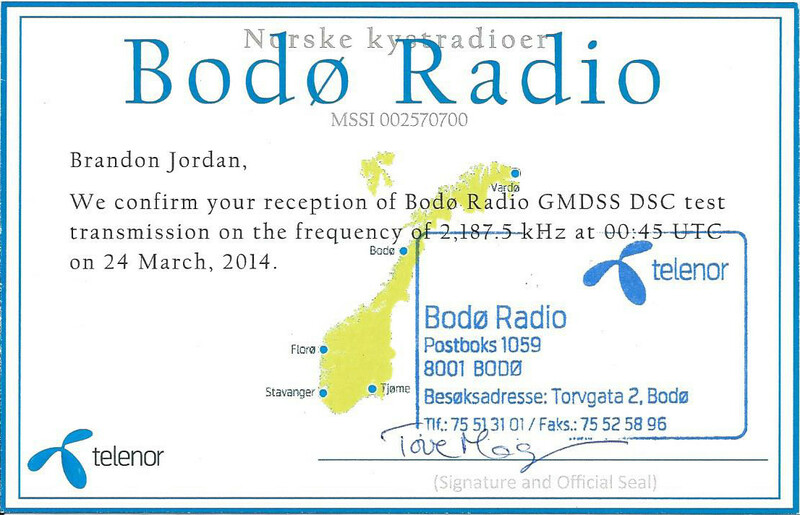 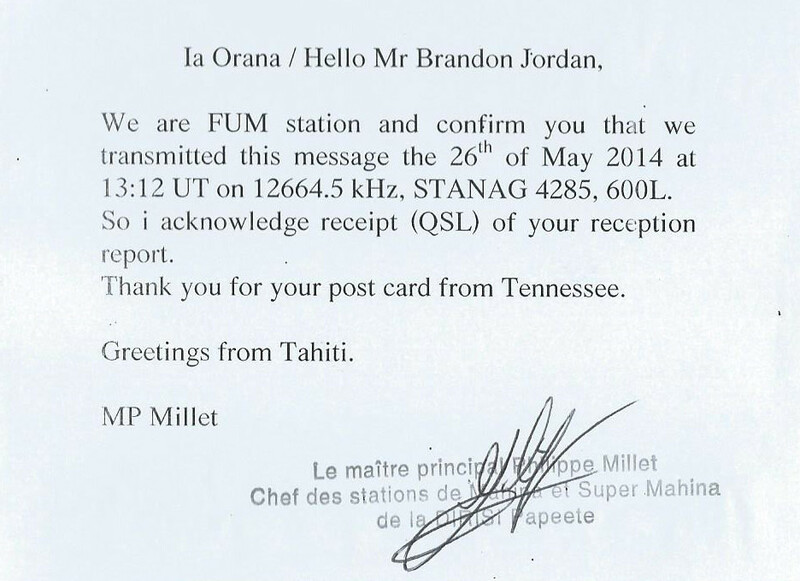 Date-only QSL card for the 2014 Armed Forces Day Cross-band Event, received in 59 days for English language report and SASE. 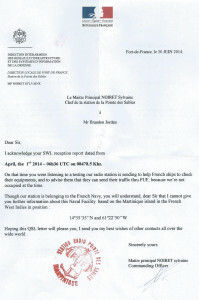 No-data verification letter and f/d PFC card in 69 days for English language report, SASE and souvenir postcard, v/s Cpl Raines CS, MACS Operator. 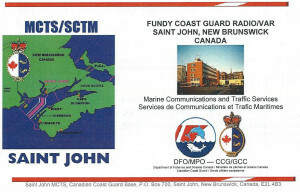 Full-data card in 175 days for English language report, SASE and souvenir postcard, v/s Robert N. Ward, Acting Officer-in-Charge.